More companies listed in the A-share market have failed to launch restructuring plans recently after the top securities regulator initiated tighter regulations to curb speculations. Experts noted that the phenomenon is conducive to revaluing the listed companies which are overvalued in the A-share market. Greater risks will remind investors to be cautious when investing in deals involving backdoor listings, experts said. More companies listed in the A-share market have reportedly failed to carry out restructuring plans after the recent implementation of tighter regulations and changing markets. Experts noted that the trend will continue as the country's top regulator is planning to further adopt stricter measures. As of Monday, more than 100 listed companies in the A-share market had announced to suspend their plans to merge, acquire or restructure their businesses. In June alone, at least 30 listed companies suspended their restructuring plans, according to media reports, and about 20 firms suspended their plans in May. The reasons for the suspensions are different for each company. Some took the initiative to defer their restructuring plans alone, while other plans were suspended by the country's top regulator mainly due to the weak profitability of the targeted assets which listed companies planned to purchase. Shenzhen-listed Hunan Valin Steel Co has also suspended its plan to acquire another firm. On Saturday, the company explained that the targeted asset has suffered losses and therefore is not in line with the interests of the company and its investors, that is if Valin goes on with its plan to purchase the asset. Also, investors' interests over the mergers and acquisitions (M&As) declined in the first half of 2017. During this period, the volume of M&As in China declined 70 percent year-on-year to 927 billion yuan ($136 billion), according to the China Securities Journal on June 8, citing data from Wind, a financial data provider. "Tighter regulations over major assets restructuring of listed companies is the main reason for trading volume decline," Dong Dengxin, director of the Finance and Securities Institute at Wuhan University of Science and Technology, told the Global Times on Sunday. Furthermore, some listed companies blindly carry out plans to restructure in a bid to attract investors' attention, said Dong, noting that this kind of restructuring will most definitely end in failure. In the past few years, the trend of restructuring listed companies has risen dramatically. In 2016, the total amount of M&As of listed companies reached nearly 2 trillion yuan, nearly four times the scale in 2013, according to a report by the China Securities Journal on Thursday. The restructuring plans have included reverse mergers, or so-called backdoor listings, in which unlisted assets are injected into shell companies that have already listed in the A-share market. With the increasing IPO blockage, backdoor listings have shown a growth trend during recent years. "Many companies hope to raise funds in the capital market via backdoor listings because it's a faster way than IPO. But some companies just intend to lift companies' valuation in the A-share market by buying a junk shell company," Qiu Yanying, an investment director at Beijing-based Pinjin Asset Management Co, told the Global Times. Qiu noted that the obstructive acts have distorted the market. Against the backdrop, the China Securities Regulatory Commission (CSRC) launched the strictest regulation in history in September 2016. This ruling outlines major assets restructuring of listed companies in order to curb speculative fundraising through the acquisition of shell companies. Following this, on May 27, the CSRC released new rules to regulate share dumping for larger shareholders and required large shareholders who hold more than 5 percent of a company's shares to sell no more than 1 percent of these shares over a 90-day period. Large shareholders are also obliged to disclose their intention of cutting their stakes to the public 15 trading days in advance. "Under tighter rules, investors are reluctant to spend more money in those companies which only focus on buying shell companies from unrelated industries," said Qiu, noting that the tighter regulations will cause difficulties for those wanting to make such deals. He opined that listed companies need to focus more closely on industrial consolidation rather than speculation. "Once there's less opportunity for those speculators who want to raise shares' valuation via buying shell companies, it will become beneficial for the market to build a reasonable and healthy valuation system," said Qiu, warning that most stocks on the A-share market have a high valuation. For instance, stocks listed on the Shenzhen Stock Exchange were traded at a price-to-earnings ratio of 36 on Friday, compared with 14 in the Hong Kong bourse, according to media reports. The ratio is a valuation measure. The speculative activities and many investors' blind investment are the major reasons for A-share stocks' high valuations, noted Qiu. In June, the CSRC gave the green light to 24 listed companies to merge, acquire or restructure their businesses, marking a record for the highest number of monthly approvals since January. So far in July, five listed companies have received such approvals by the CSRC. The CSRC's move raised expectations that the regulator may allow more mergers to improve the quality of the listed companies. "The demand for mergers is still growing. Particularly, State-owned enterprises [SOEs] need to reform and become bigger via mergers and acquisitions," Zhang Xin, a senior analyst at the Beijing office of Guotai Junan Securities, told the Global Times on Sunday. CSRC Chairman Liu Shiyu has emphasized the importance of improving the quality of listed companies. "Brokerages can't just focus on businesses like underwriting and sponsoring, they should focus more on facilitating corporate mergers and acquisitions as well as restructuring to rejuvenate the market," Liu said during a meeting at the Securities Association of China on June 17. Liu's remarks show the regulator's intention to eliminate the outdated capacity of SOEs to improve the real economy, said Dong, the aforementioned university director. But the tighter regulations addressing the restructuring of listed companies won't change in the short term, experts noted. As the regulator keeps a steady pace in approving IPOs, along with tighter regulations, speculation over the shell companies will be minimal, Dong said. 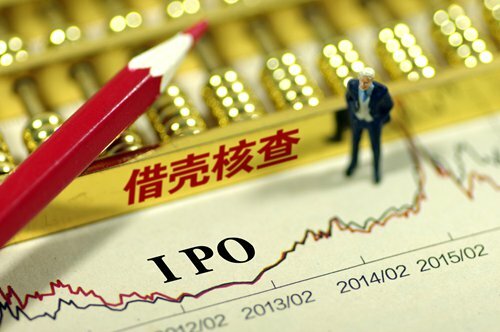 As of Friday, the CSRC has approved 234 IPO applications this year, raising funds to up to 119.8 billion yuan, according to a National Business Daily article published on Monday.